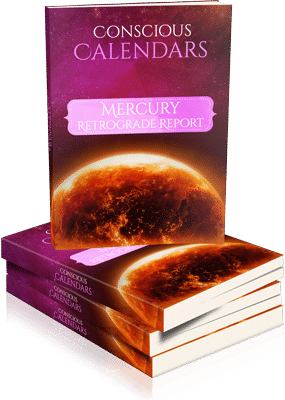 Mercury retrogrades 3 to 4 times a year - and each time it does you'll hear a lot of people saying yep, that's why things are a little crazy right now. But do you know what mercury retrograde really means... and how to properly handle it? Use this handy PDF report to learn the truth about this fascinating astrological phenomenon, when it's happening in 2019, and how to position yourself above the misunderstandings, miscommunications and malfunctions that it often sparks. See and plan twelve months ahead. 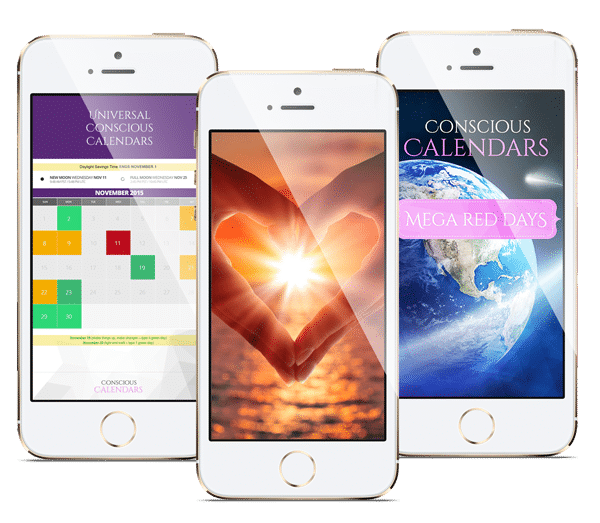 Annual subscribers to Conscious Calendars receive the color coded Calendars and all the Bonuses! Scroll down to see the bonuses that come with every paid subscription. How Conscious Calendars is made. Gain Vision, Live with Impact. Learn how the most ancient clock in human history is being used today for Conscious Living in the video. You’ve arrived at this page because there’s something personal I’d like to show you about, well, YOU. You see, I’m a Vedic Astrologer and the creator of Conscious Calendars. And with your permission, I’d like to dip into this ocean of wisdom… and uncover the direction of your life in the coming months. To be more specific, I want to show you a number of DAYS throughout this period…That are celestially destined to attract wonderful opportunity, risk, and sometimes even danger into the most crucial areas of your life. I can’t stress how important these days will be. Because your ultimate success or failure in the near and distant future hinges solely on how you deal with each of them! Which is why I’ve made sure my calculation is so painstakingly accurate… it spells out in crystal-clear steps what you need to do to get where you want to be, from now up to the end of 2020. How? Through a remarkable astrological technology that’s so simple… it’s as easy as glancing at a calendar. 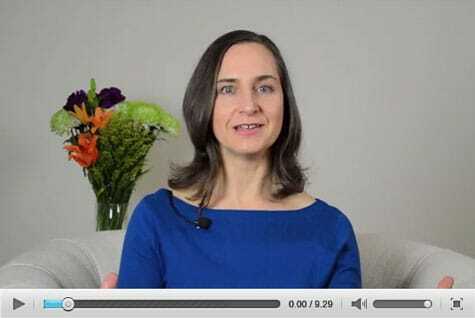 For every month you stay subscribed to Conscious Calendars, you receive an in-depth bonus video where I share with you the highlights, important to know and insights that will help you reveal how to make the most of your Calendar in that month. These sessions will be both fun and eye opening, as I empower you with practical lifestyle tips… fascinating astrological wisdom… and even mind-body-spirit exercises you can use in conjunction with your Calendar for even deeper personal power, positive outcomes and wonderful ‘coincidences’. These monthly Video Astrology Forecasts and insights are conscious training sessions and are the next best thing to a monthly meeting with your very own Vedic Astrologer. They’ll give you a crystal ball insight into every new month, and change the way you work, play and love. Just consider them my gift to you for committing to live your life consciously. Not all red days are made equal! 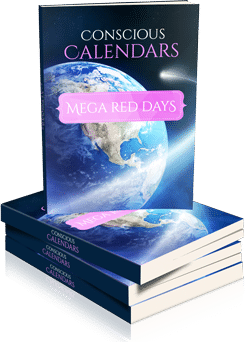 There are between 4 to 6 MEGA red days each year that can wreak havoc to your plans - unless you learn when they are, what energies they carry, and what you should and shouldn't do when they arrive. This essential PDF report gives you all the dates and advice you need to not only anticipate and survive mega red days - but even to turn them to your advantage. Just use it with your monthly Conscious Calendar, and rest easy knowing you're covered! Conscious Calendars: The potent power of Vedic Astrology, simplified. Access ancient wisdom, while you consciously cue your dreams, hopes and plans. Easy align with the cosmic rhythm that surrounds and is within you. It's an energetic weather report, with a year view. IF YOU’D LIKE TO SEE THE POWER DAYS FOR THE NEXT YEAR RIGHT NOW, JUST CLICK THE BUTTON BELOW. Look ahead for an entire year. THE FIRST MONTH OF YOUR SUBSCRIPTION BEGINS IN THE NEXT MONTH, ALWAYS. The current month is always free. 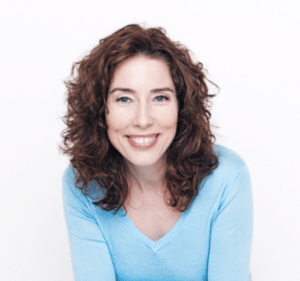 "Kathleen Whalen and her Conscious Calendars are an invaluable resource that go far beyond what I first imagined. As a business strategist, I was intrigued by the idea of having a 'Navigating System; but completely unaware of Vedic Astrology as a practical 'Map Maker'. Kathleen has an amazing scientific background and is highly knowledgeable and detailed as as being incredibly caring, intuitive and insightful." Take it from a lifelong enthusiast: understanding this ancient system can be challenging. And applying it in your life even more so. The books are thick and esoteric. The ancient rules are complex. The bona fide experts are often expensive and hard to find. 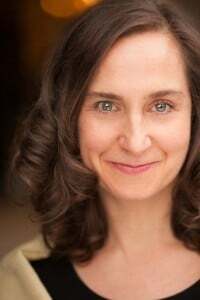 I should know: I’ve spent the past 13 years helping tens of thousands of people harness the power of Vedic Astrology – from CEOs and celebrities to artists and housewives. Along the way, I’ve come to realize that before most of us can enjoy the benefits of astrology… we need to be able to understand it, use it, and stick to it. So many people have come to me confused… frustrated… and stressed out. All because they didn’t know where to start. Or even where to find the time to start! That’s what inspired me to design Conscious Calendars: a simple technology, for busy people, that gives you all the transformational benefits of astrology… as quickly and easily as checking your local weather forecast. "The results that I receive from using the Conscious Calendar in my monthly and daily planning are two-fold. Firstly, I know what to avoid engaging in during Yellow and Red days, thus saving me unnecessary suffering as well as time and energy expenditure. Secondly, I can plan proactively on the Green days and use that energy of harmony, ease and flow to boost success in my business and personal endeavors." I invite you to join me as we explore the natural astrological rhythm that invisibly controls your reality… And why a technology like Conscious Calendars can so dramatically elevate your life in the coming weeks and months. 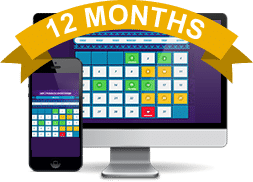 Get a Year of Calendars through the same month next year, and have access to monthly bonuses for an entire year! (You get the current month for free). That's less than 32 cents a day. 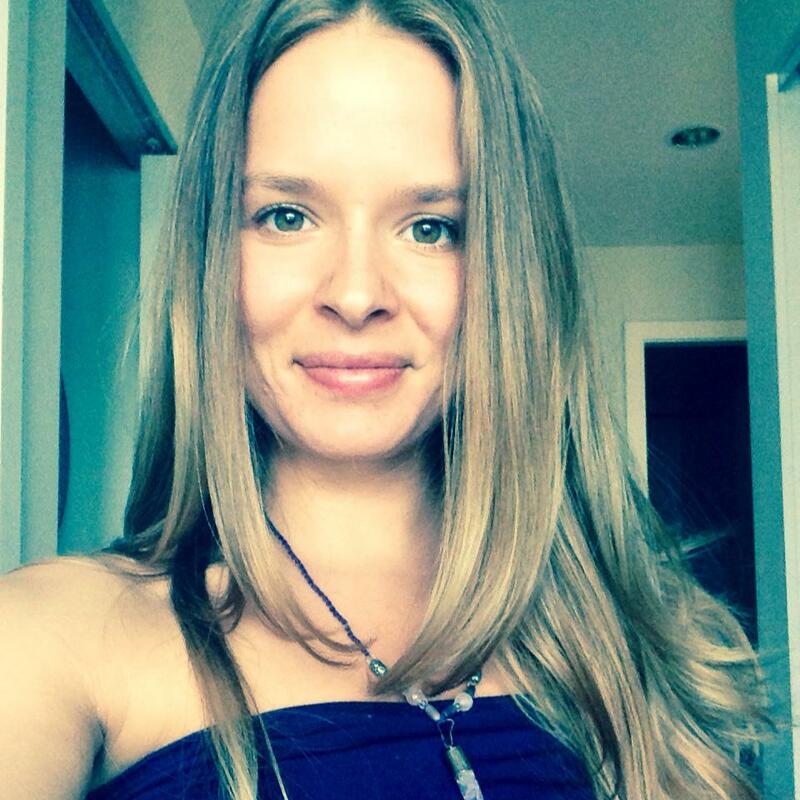 “My name is Sheleana, and I am the Co-Founder of an online health and wellness company called YoungandRaw.com. My husband and I started working with Kathleen in 2011, and at the time we were broke, not yet married, and struggling to find our place in the world of business. Initially when I met Kathleen, I wasn’t sure what to expect. Even though I am a huge believer in the science of astrology, my experience with astrologers in the past hadn’t been impressive. I figured it was a little too vague to just base your schedule on 3 colors, but as I started paying attention, I was surprised at how incredibly accurate and aligned things started to become. We’ve been working with Conscious Calendars for over 3 years now, and without a doubt I have to say they are a huge part of our personal and professional success. We’ve used Conscious Calendars for launch dates in our business, scheduling flights, negotiations, signing deals, and even our wedding date! Conscious Calendars also lets us plan for “bumps” along the way. For instance, we spotted a financial bump coming 3 months ahead of time, that would have otherwise ruined us. I often joke with friends that I can’t make a decision without Conscious Calendars, but it’s true. My guarantee to you is straightforward and sincere: Your Conscious Calendar must be flawlessly accurate. Your Conscious Calendar must be a joy to use. And your Conscious Calendar must have a positive impact in your life. If it doesn’t do any of these things, for any reason whatsoever, then just email me at support@consciouscalendars.com within 30 days for a no-questions-asked refund – and my deepest gratitude for trying it out. That’s zero risk on your part. And plenty of time to see if Conscious Calendars is for you. So why not give it a shot?